I have spent a lot of time admiring techniques that I’ve never used before. 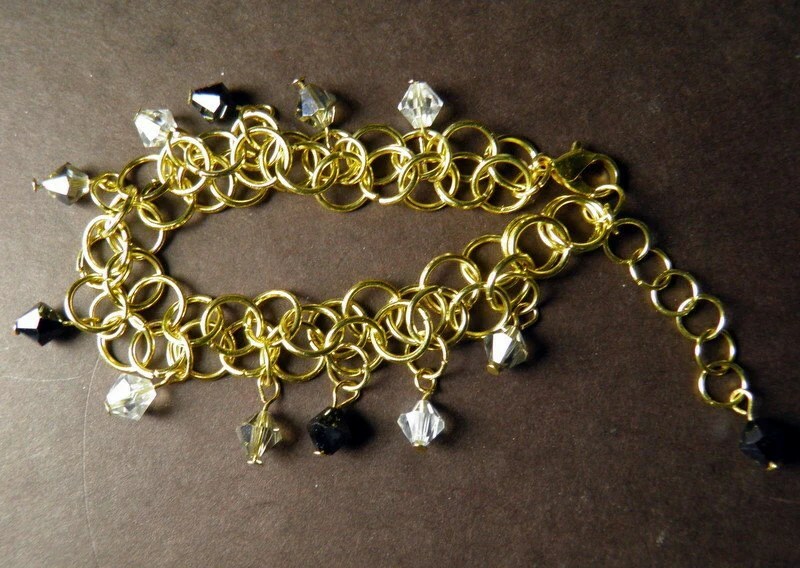 I love wirework and chainmaille both of which I have never really tried. I have a wigjig and plenty of jumprings that I can play with…one is finally conquered! Yesterday I decided to try a basic Chainmaille pattern and am very happy with the results! I made two simple bracelets and added some bling to them. I will be making a few more creations, including some earrings which I need desperately in my shop! I’m very excited about how they’ve turned out and hope to post them in my shop next week. I’m looking forward to sharing my first attempts with everyone! And…I’ve already been on the move! 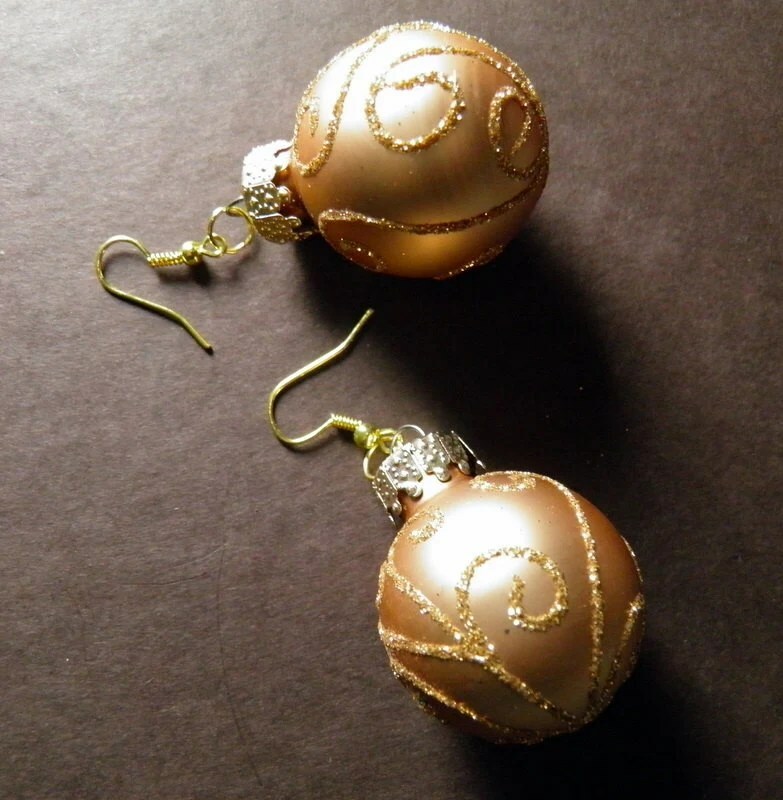 I love ‘decorating’ myself for the holidays and what better way than ornament earrings?